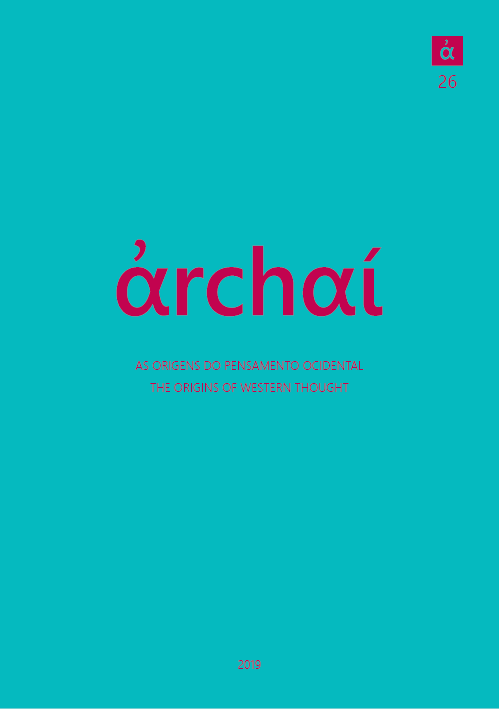 Archai Journal is now also available at SciELO website. Archai: The Origins of Western Thought is published three times a year by Archai: The Origins of Western Thought UNESCO Chair. It is published in Brazil (University of Brasília/Annablume) and in Portugal (Coimbra University Press, IUC) in print and with free online access to the electronic version. All manuscripts will undergo blind-review by peers. It is indexed by Web of Science (Thomson Reuters/ESCI), SciELO, L’Année Philologique, Philosopher‘s Index, European Reference Index for the Humanities and Social Sciences (ERIH Plus), DOAJ, Phil Brasil, Latindex, Cengage Learning, Google Schoolar, BASE, Diadorim, PKP Index e in the Portal de Periódicos - CAPES, Brazil. Archai is classified as A2, the second best grade of its field (Philosophy) in the latest Qualis CAPES evaluation. Follow the Archai journal on Facebook.